The idea for this tart comes from baketotheroots a wonderful website full of fabulous cakes, tarts, pies and all things nice. I wanted something tasty for dinner on Friday and we are starting to run low on fresh veggies from the garden (still have some in the freezer) so it is harder to think of things to make. 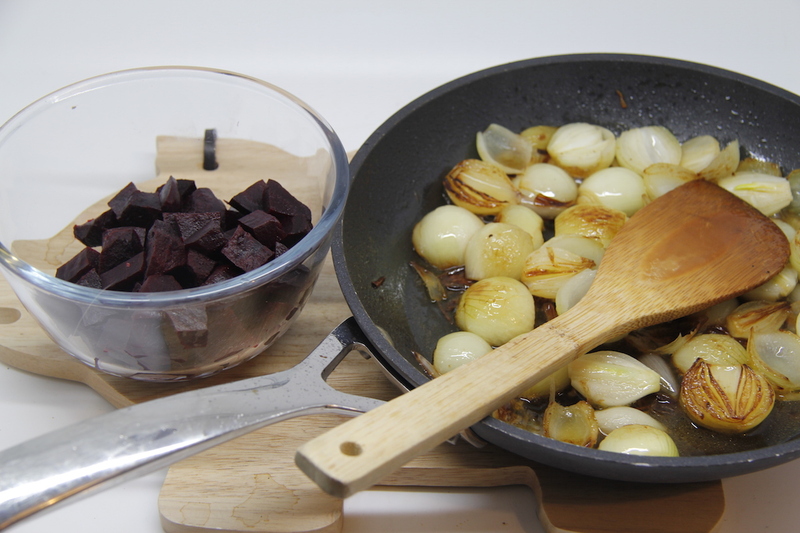 However, we had some small onions leftover from my rubbish crop last year and some beetroot a friend had given us from their allotment. So beetroot and onion tart it was. 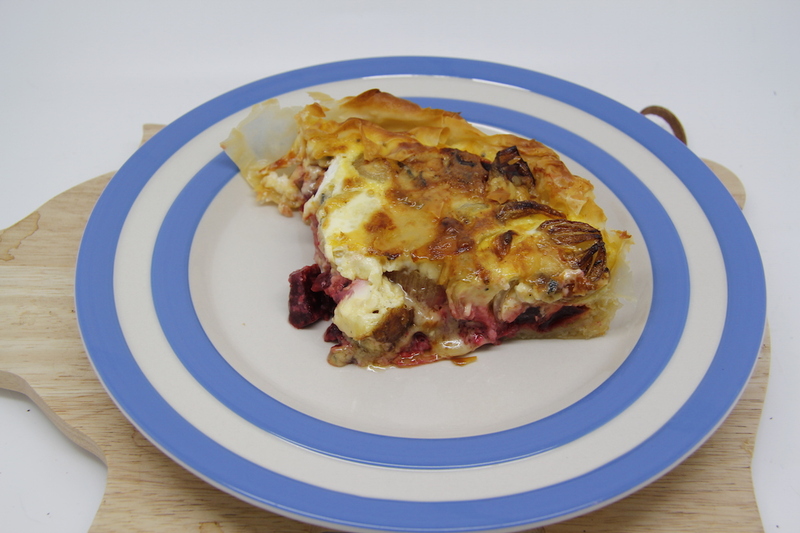 Ingredients: beetroot – cooked; onions (I used 14 small ones); pot of double cream (about 7fl oz); 4 small bantam eggs (or maybe two large ones); large handful of stilton cubed; packet of filo pastry; melted butter; splash of sherry or some kind of alcohol, olive oil. 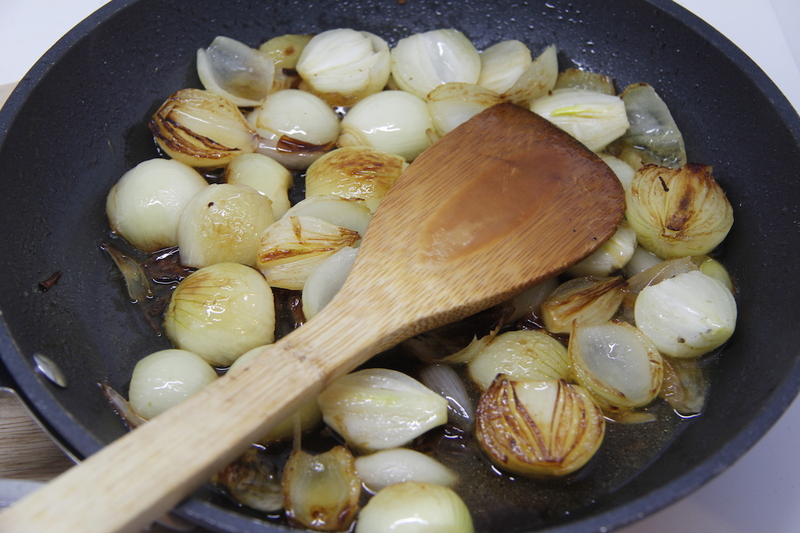 Cut onions in half and fry in some olive oil in a pan. When done, deglaze pan with alcohol. 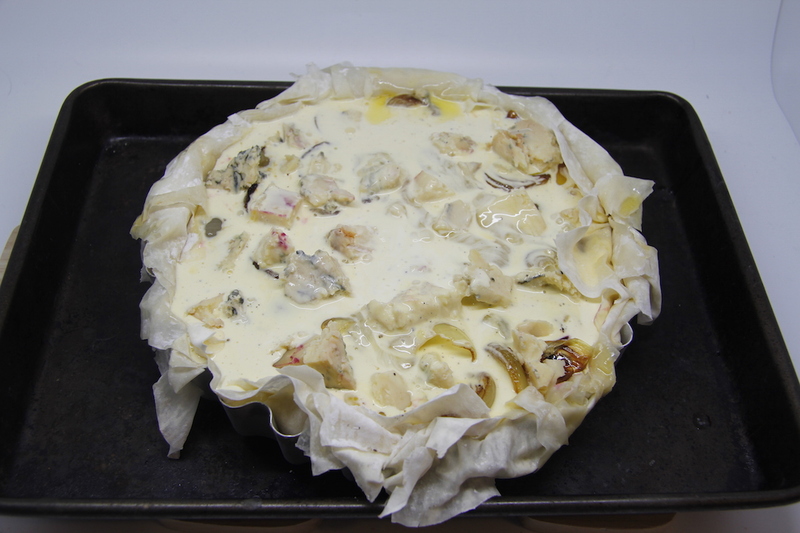 Melt butter and layer up the filo pastry in a tart tin brushing each sheet with melted butter as you go. Put the beetroot on the bottom of the pastry case. Add in the onions and cheese. Mix together the eggs and double cream. (Maybe I should have used an extra egg as I used quite a bit of cream). 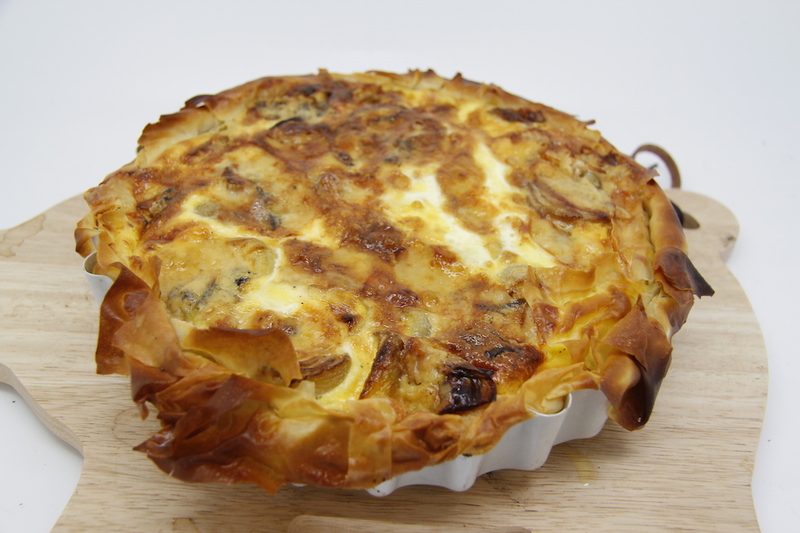 Pour the egg/cream mix over the tart and cook for about 30 minutes or so in a hot-ish oven until golden brown and more or less set. It would have been lovely to have this with a salad, but we didn’t have any. So instead we just gobbled the entire tart up in one go. 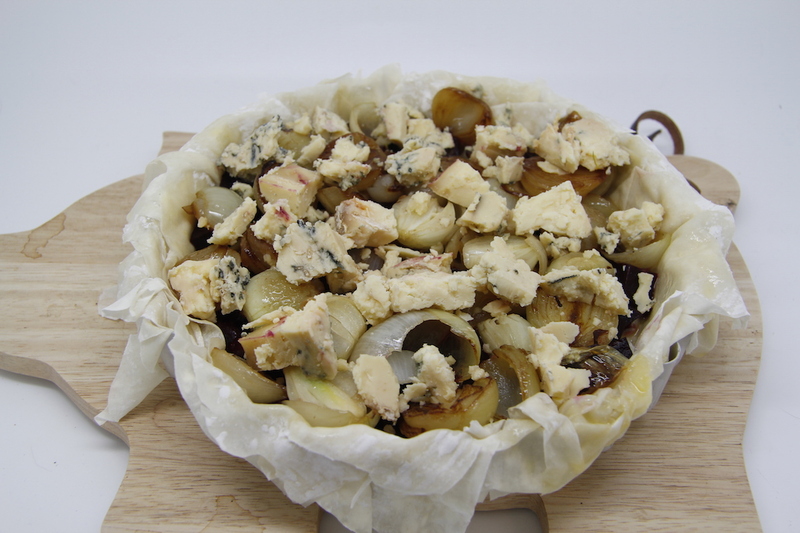 It was really delicious – I have made it a few times now – hope you enjoy it.